I had to run an errand to Irving and the kids weren't excited about it. I told them I'd find something fun for them while we were there. So we stopped by Fritz Park Petting Farm! There are some animals, like the turkey, that are in cages that you can't access because you probably don't want to really pet a turkey and take a chance at being pecked. However, most of the farm has big fenced in areas for animals to wander around. You can just reach in and pet them. The goat and rabbit area has a gate and you are allowed to just walk in and play with the animals! This bunny was so silky smooth. Rachel spent a lot of time with her but the goats kept coming over and trying to get to the cage. They liked to rub up against it to scratch themselves! 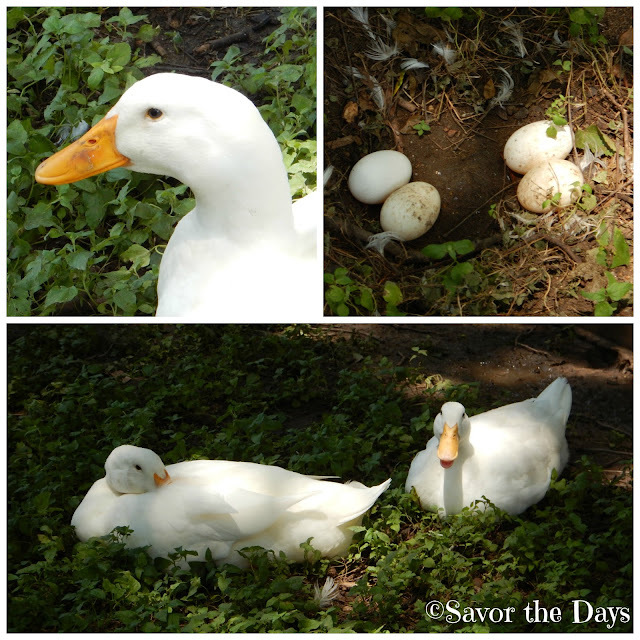 We saw a momma and daddy duck and then realized they had 4 eggs waiting to hatch! There was a chicken and a rooster in a big pen. My kids discovered that the birds liked eating weeds fed to them. I think they only got pecked once and then they decided to quit feeding them. This sneaky guy found a way to get out of the pen. Rachel was brave and found a keeper to explain the situation to. He thanked her but said that the rooster often finds ways out of the pen! There are two friendly donkeys that love to be scratched. They were a little bit smelly though. Nicholas seemed most fascinated with the peacock. He sat next to him and they chatted for a bit. It's hard to imagine that this same bird can go from that to this! What a beautiful display! The kids remembered our study of Greek mythology and the myth of how the peacock got its beautiful feathers. Zeus, king of the gods, was married to Hera but he had a thing for Hera's assistant, Io. Hera found out and turned Io into a cow. She gave Io to her servant Argus and told him to watch over her. Argus had 100 eyes all over his body so it would seem to be an easy task for him. However, Zeus had Argus killed and Hera took his eyes and placed them on the tail of a peacock as a memorial for him. The front of the tail is so colorful but the back just looks so spiny. Those feathers are incredibly long! It's been a few years since we last visited Fritz Petting Park. Check out our last visit HERE. 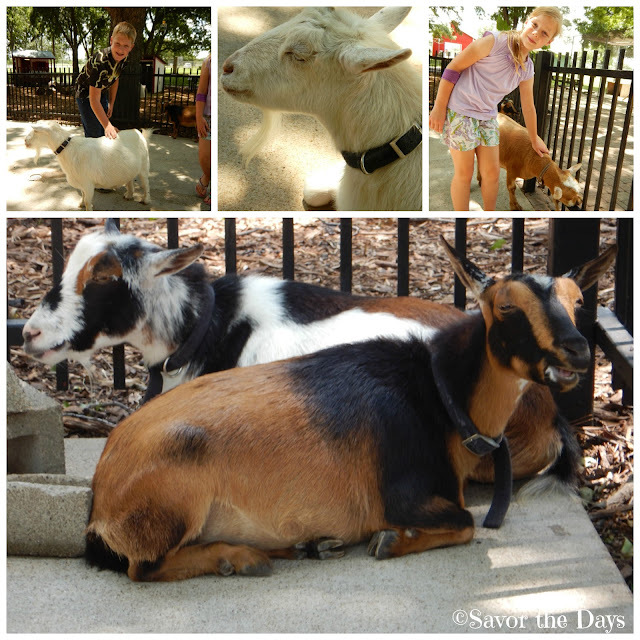 Fritz Park Petting Farm is located at 312 E. Vilbig in Irving, TX. The petting farm is open from 10:00 - 6:00 Tuesday - Saturday and 2:00 - 6:00 on Sunday. Admission is FREE!